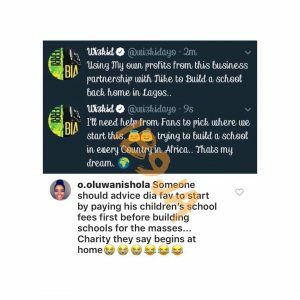 Recall that Wizkid through his tweet reveals his plan to start building Schools in every part of Africa with the profit he realize from his partnership deal with Nike company. 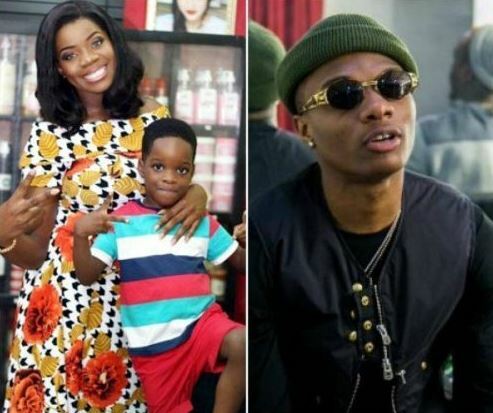 Now, Wizkid’s first babymama Shola Ogudu the mother of Boluwatife Balogun has told the artiste ‘to start by paying his children’s school fees before building schools for the masses, adding that charity begins at home’. 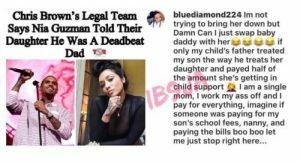 Similarly Starboy’s second babymama ‘Binta‘ also made a post about wanting to change her baby daddy to replace Wizkid with Chris Brown because the American pop star takes good care of his daughter and provide child support.